Introducing Mermaid Kat! This amazing woman brings so much passion to our community! 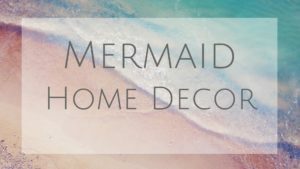 In 2012, she created the company Mermaid Kat, and within the next year opened Mermaid Academy, which teaching Mer-lovers of all ages how to swim, and a Mermaid Shop selling high-end diving monofins, fabric tails, and silicone mermaid tails. Kat’s motivation is to see the bright smiles of those fulfilling their dreams and to teach them how to become ocean ambassadors who help fight for our underwater world. Her classes are currently in Germany and Australia. Keep reading to learn more about Mermaid Kat! Originally, I’m from Germany but I left my home country 9 years ago. After spending one year in Sydney (Australia) I moved to the beautiful Island Phuket in Thailand. After living in Thailand for 2 ½ years and 6 months in Egypt, I moved back to Australia, but this time to Perth on the West Coast. I love anything that has to do with nature and wildlife. I enjoy walking through the bushland and meeting kangaroos and other friendly creatures during my time outside. Two years ago, I adopted two beautiful foster cats, Basil and Baxter. These boys make me laugh every day and I surely enjoy my daily cuddles. Apart from that, I love challenging myself during my acrobatic and contortion classes. Since I was little I had this passion for water, which is actually pretty unusual considering the fact that I almost drowned when I was 5 years old. I still remember this day like it was yesterday. My parents were playing cards with their friends while I kept swimming in a lake with my swimming devices. I loved to run all the way to the end of the pier and jumping into the deep end. One time I forgot to put on my swimming devices before I went back into the water. I jumped off the pier into the deep end as usual but this time something was different. I stayed underwater and couldn’t get back to the surface. My hands were looking out of the water while I tried to find my way up. out. That girl saved my life. I still remember every detail, and the fascinating thing is that while I was underwater I had a feeling of calmness traveling through my body. I wasn’t stressed or panicking. Surprisingly it is still a very calm memory and my parents have done a great job, getting me straight back into the water afterward, so I wouldn’t develop a fear of it. Whenever I went into a public swimming pool, I’d usually swim underwater. That’s probably why even these days, I’m still not the best swimmer at the surface. In 2007, I did my open water dive course and since then I was absolutely hooked to the underwater world. I continued my training and became a scuba diving and later also freediving instructor. When I was around 5years old, I watched Disney’s “The Little Mermaid” for the first time. After seeing her dancing around through the shipwrecks, I desperately wanted to become a mermaid myself. I’m a person who loves everything that is beautiful, colorful and peaceful and Ariel submerged all these things for me. For hours, I would cross my legs over and hoped that one day they would grow together and turn into a mermaid’s tail. As a child, I asked my father if he could make me a mermaid tail because back then you couldn’t just buy mermaid tails like these days. My father was a little bit overprotective as a policeman in the special commando of the German police. He told me that I would drown if I tried to swim with my legs tight together. practicing my freediving, I finally created my first tail. I made it from neoprene and painted it with latex which had some color pigments mixed in. It was beautiful but unfortunately didn’t last very long. After a few months, the latex started to peel off and I learned later, that there are way better materials to use for mermaid tails than latex. For a while I admired the beautiful silicone mermaid tails, some other mermaids and mermen were wearing. I have always been a huge fan of the Mertailor, Merbella Studios and Mermaid Kariel and dreamed about owning one of their tails one day. After I opened my mermaid academy in 2012, I started teaching others how to swim like mermaids and mermen. I used fabric mermaid tails, with an integrated monofin, that I bought from an online shop. After teaching my first classes I quickly realized, that these tails couldn’t meet my expectations. As I couldn’t find any more professional mermaid equipment, I decided to develop my own range of highly functional mermaid tails. In 2013 my team and I opened the Mermaid Kat Shop and started to manufacture and sell fabric mermaid tails that were safe to use for experienced swimmers. These tails are still a big hit for mermaids and mermen from around the world. Especially children and beginners admire these tails and they are perfect to teach professional mermaid classes. But my heart was still hoping to swim in silicone mermaid tails, especially during my performances. In 2014, we finally started to get into the process of making silicone mermaid tails and these are the ones I’m now using during my mermaid performances and underwater photo shoots. They look absolutely realistic and are just wonderful to swim in. Since I became “Mermaid Kat” I had so many unforgettable mermaid adventures. Unfortunately, my father died when I was 16 and has never seen me swimming as a mermaid. I wish he could see me now. Surely he wouldn’t have changed his mind about mermaid tails by now. What is your favorite feature of the Mermaid Kat Monofin? I love the efficiency of the Mermaid Kat Triton and Mermaid Kat Hydra monofins. We developed these fins over a period of several months. They were designed by water professionals and engineers. The adjustable heel straps are super helpful during our mermaid classes. It doesn’t matter which shoe size our students have, everyone gets to get the perfect fit. In my opinion, there is a lot to learn from mermaids. One example is to believe a little bit in magic. Another important thing is education, and love for our oceans and actually nature in general. It breaks my heart to know that millions of sharks get slaughtered each year for their fins. It breaks my heart to know that millions of sea animals die of plastic pollution each year and it breaks my heart that thousands of dolphins are being killed during the selection process for international marine parks each year. As mermaids, we have the magic powers to educate people about these problems. We can show the beauty of our underwater realm and also show the dramatic changes humans have created in the past few decades. We can give tips on how every individual can help. That’s why many mermaids and mermen, including myself, use their mermaid personalities to create awareness for these things. At Mermaid Kat Academy, we don’t just teach our students how to swim in mermaid tails. We also turn them into ocean ambassadors who help us in the fight to save the oceans. What camps or mermaid gatherings have you been to or wish to go to? In 2011, I went to the mermaid convention in Las Vegas. I’m not 100% sure but I think it was the first mermaid convention ever. I wasn’t really a mermaid at that time, but I had set my mind on it and was looking for inspirations. I was quite shy and my English was not that great so I was a little bit nervous to connect with other mer-people (or actually people in general). Three mermaids have still been in my memory up to this day. There was Mermaid Courtney from Canada, who was so friendly and happy to be there. We spend some time together and I really enjoyed her company. Then there was Mermaid Malena who I still admire today. She was sitting on the table with her beautiful latex mermaid tail. She was so helpful in giving me tips on how she created this tail and I have been following her mermaid adventures ever since. And then there was Iara Mandyn who interviewed me for a dive magazine. I looked her up on the internet and had a lot of respect for her amazing underwater performances and breath hold. In April 2018, my whole German team and I (14 people in total) went to the Mermates Convention in Belgium. We had such a blast. Over 100 mermaids and mermen from Europe came together and we shared some magical time in the 10-m deep indoor dive center TODI. It was just beautiful to meet so many other amazing mer-people. A part of my team will go again this year but unfortunately, I’m busy with other projects during that time. To be honest, basically anything. I have supported campaigns and projects against shark finning, pollution and dolphin parks. I’ve swum with Tiger Sharks and recently even with American Saltwater Crocodiles. I love nature, I love our oceans, I love Mother Earth, and it deeply upsets me to see how this beautiful planet and the creatures living here are treated by humans. It makes me feel ashamed to be human and I have done many changes in my personal life to leave the smallest footprint possible on our environment. My goal is to inspire others to do the same because I believe that as more people join us, the bigger the changes that we can make. Safety first always! Train your way up and ideally join a professional mermaid school or freediving school. And of course, enjoy what you do and have lots of fun. Feel the magic and see the smiles you put into people’s faces. I know that some people think that mermaiding is just a trend that will disappear as quickly as it started. In my opinion, mermaiding will be more and more established over the next years. In 10 years, I believe that mermaid will be as normal as surfing, dancing or cycling. By then I’m sure there will be thousands of mermaids and mermen around the world. Thank you, Mermaid Kat! You provide a strong example of how us mermaids can view our world and do everything we can to help save her! For other mermaid interviews, check out my “Meet a mermaid” page.